The Village lights up at 6:15 p.m. sharp on Friday, Nov. 15! 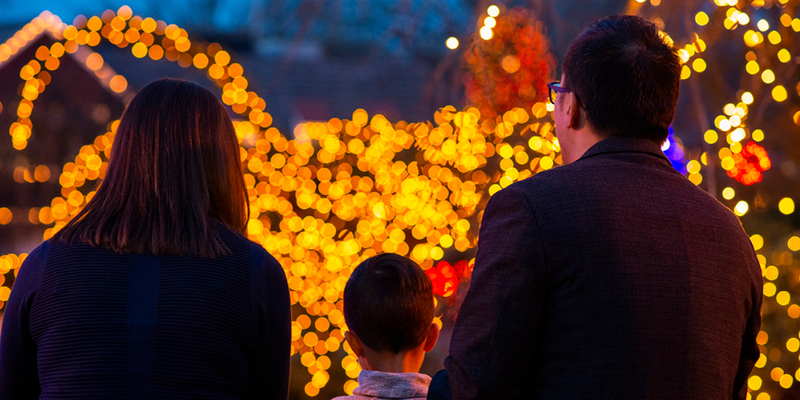 Join us when Santa and his helper flip the switch to illuminate the entire Village starting the Season of Lights complete with performances from local groups. Enjoy complimentary hot apple cider and marshmallow roasting; check out the winners of the Gingerbread House Competition & Display; enjoy tasty food & drink at any of our eateries, tasting rooms & food trucks; and get a jump start on your holiday shopping! Free admission and parking. *IMPORTANT NOTE*: Due to the popularity of this event as well as weather-related complications (significant muddy areas that cannot be used for parking), we want everyone to know that parking will be limited, and traffic delays should be expected. With respect to our neighbors, we ask that you please do not park on streets in nearby residential developments! We would advise against bringing dogs as the pathways become congested. Shops open until 10 p.m. to kick off Merchants’ Open House Weekend! Check off your holiday gift list at the Merchants’ Open House Weekend with refreshments in each shop and something for everyone, November 15-17. Click here to find out more! The Village’s extended holiday shopping hours are November 29 through December 29, Monday through Saturday, 10 a.m. to 9 p.m. and 11 a.m. to 7 p.m. on Sunday. Click here to view this magical event! Video courtesy of Leigh Imaging.